You can get the best Amazon Prime features for free for 6 months through Amazon Prime Student. You don’t get everything, but the free trial is still totally worth it. Talk to anyone you know who has Amazon Prime, and they’ll sing its praises. The free 2-day shipping is what hooked most of us, but Prime is truly the gift that keeps giving, with new Amazon Prime benefits being added every year. Even so, you may be hesitant to pony up the $99 a year or $10.99 a month. I understand that. I felt like that for years, but then I got the free trial through Amazon Family when my first kid was born, and now I can’t live without it. If you’re a student, you can get an even better deal than the Amazon Family free trial. Sprint is currently sponsoring a six-month free trial of Amazon Prime Student, which includes the main benefits of Amazon Prime and then an offer to upgrade to a paid membership at a 50% discount after your free trial expires. If you’re a student and can prove it, I highly recommend you check out the Amazon Prime Student free trial. 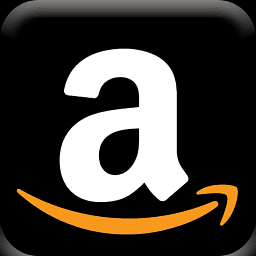 What Do You Get For Free with Amazon Prime Student? Amazon Prime Student provides a subset of the full Amazon Prime benefits. Amazon Prime normally costs $10.99 a month or $99 a year, but Amazon Prime Student is sponsored by Sprint, so you get six months for free. You don’t have to be a Sprint customer to get Amazon Prime student for free. Free 2-day shipping on Amazon Prime eligible items. 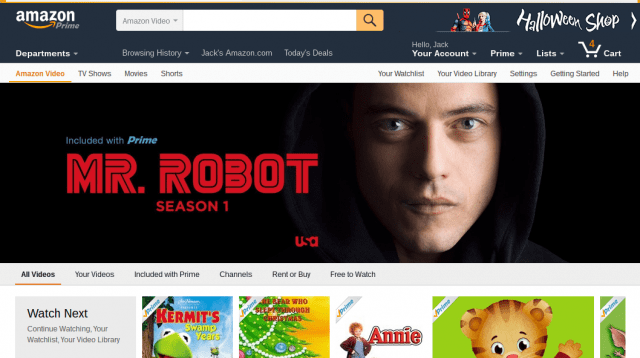 Access to unlimited streaming on Prime Video. Includes TV shows, movies, and a few Amazon exclusive shows and Amazon originals. Access to unlimited photo storage. Store as many photos as you want with Amazon Prime Photos. $10 referral bonus for each person you refer to Amazon Prime Student. This is available in all states except Arkansas, Maine, Missouri, Rhode Island, and Vermont. You get all of the above for six months for free. After that, you have to upgrade to a full Amazon Prime account. The good news, though, is that you’ll get all the Amazon Prime benefits after you upgrade, and you’ll get a 50% discount for the next four years or until you are no longer enrolled as a college student. What Don’t You Get with Amazon Prime Student? Access to Amazon Prime Music. Amazon Prime Music has some full albums and songs available for unlimited, commercial-free streaming. With Amazon Prime Student, you don’t get access to Amazon Prime songs. Amazon Member Sharing. You cannot let family members or other people use your Amazon Prime shipping benefits with Amazon Prime Student. Kindle Owners’ Lending Library. There are some free Amazon Kindle books that you can check out for free with Amazon Prime. As an Amazon Prime Student, you don’t have access to the Kindle Owners’ Lending Library. Amazon Family Discounts. 20% diaper discounts and 15% baby registry completion discounts aren’t available to Amazon Prime Student members. How Do I Upgrade Amazon Prime Student to Amazon Prime? When you sign up for the Amazon Prime Student six-month free trial, you give them your payment information. So, when your membership expires, they just start charging you for a full Prime membership. But you get a 50% discount for up to four years, and you instantly get all the Amazon Prime benefits that you were missing out on when you were on the free trial. To be eligible for Amazon Prime Student, you must be enrolled in at least one college, or university course in the U.S. Simply go to the Amazon Prime Student sign up page and fill out the form with your .edu email address. Amazon will send you an email to your .edu email address to verify that you are indeed a college student. Make sure you already have an Amazon account with an active credit card. After your student status is verified, Amazon will send you an email with a link to sign up. You must sign up via the link within 14 days. See this page for more information on signing up for Amazon Prime Student without a .edu address. Amazon Prime Student is a great way for college students to enjoy Amazon Prime benefits for free. After that, the 50% discount on a full Prime membership is a decent savings, too. Although you don’t get the full compliment of Amazon Prime benefits, the free shipping, and Prime video make it well worth it—especially if you remember to cancel after your six-month trial is up. At any rate, the only thing worse than paying full price for Amazon Prime in the first year is not having Amazon Prime at all. Sign up! Or let us know why not in the comments. Maybe it’s just me, but wouldn’t it make sense to give students access to books before adding in video?